﻿ What is a hard armor plate? What is a hard armor plate? Nowadays, bulletproof vests have been popularized in military, and can often be seen in movies, news, and books, so we are by no means unfamiliar to them. However, when it comes to hard armor plates, maybe most of us feel completely in the dark. Now, let’s talk something about hard armor plates, and before that, you should know what a hard armor plate is used for. Most of the bulletproof vests are made of multi-layer aramid or polyethylene, with a relative light weight. However, it is not possible with available materials and processes to create a level III vest currently, meaning it is not rated to stop 9 mm FMJ and .44 MAGNUM JHP. Therefore, hard armor plates must be involved to resist bigger threats. Hard armor plates are usually used in conjunction with bulletproof vests, and can be divided into two types, front plates, which protect the chest and back of human bodies and side plates, which protect the side of human bodies. There are mainly three kinds of materials used to make hard armor plates, steel, polyethylene, and ceramic. Nowadays, ceramic plates have occupied a dominant position in the market. Let’s talk about the protecting mechanism and differences between various ceramic plates. Ceramic plates are usually made of ceramic and PE. In a collision, bullets hit the ceramic layer firstly, and at the moment of contact, the ceramic layer cracks, dissipating the kinetic energy to the periphery of the impact point. And then, the PE layer is stretched and envelops warheads and shrapnel, during which the energy of bullets is consumed. In this process, there is not any impact on human body. 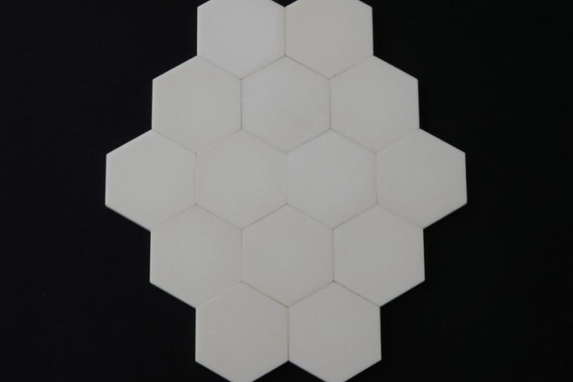 There are three kinds of ceramic compounds used to make ceramic plates. Alumina ceramic has the highest density but the lowest price among the three materials. So, it is a good choice for a large-scale purchase. SiC ceramic is a relatively light material with a density much less than alumina, while slightly higher than polyethylene PE. A plate made of SiC ceramic is more comfortable to wear because of its lighter weight, but around 4-5 times costlier than alumina ceramic. Therefore, it may be an appropriate choice for wealthy clients. Boron carbide ceramic is very expensive with a price 8-10 time as high as SiC and a density slightly smaller than SiC. Generally, due to its high cost, it is only used to make hard armor plates with a protection level of NIJ IV. Even so, there are occasions when rich customers choose this kind of plates. Both alumina and SiC plates can be found on the official website of Newtech. The water-proof cloth is a layer of water-proof polyester fabric, covering the surface of a hard armor plate. It has a simple production process and lower price. The polyurea finish is manufactured by praying the polyurea evenly on the surface of hard armor plates. A polyurea finish is about 200g heavier than a water-proof polyester fabric finish, but it can provide a certain degree of protection for human body, and the bullet hole in the polyurea finish after gun attack is also smaller than that in the water-proof polyester fabric finish. The polyurea finish is also more expensive than the water-proof polyester fabric finish. Now do you know what a hard armor plate is? If you still have any questions, please contact us. 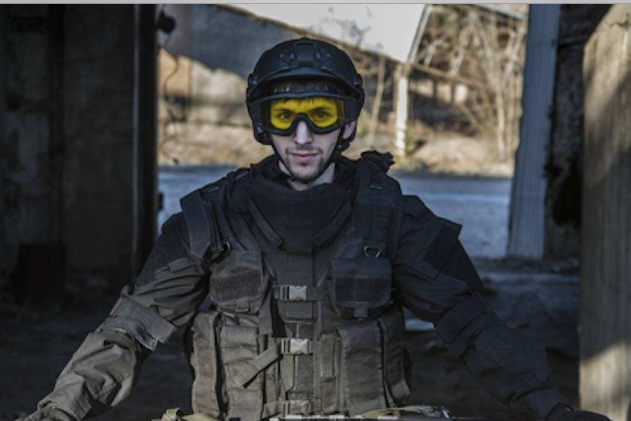 Newtech has been focusing on the research and development of bulletproof products for 11 years, and offers a full line of military hard armor plates with protection levels of NIJ IIIA, III, and IV. When considering the purchase of hard armor plates, you can visit our website to find the suitable ones for yourself. Congratulations on the relocation of our company! Since 2005, in response to the escalating gun threat, we have been committed to improving our existing products and developing new materials and bulletproof equipments. In recent years, with the aggravation of gun threats, ballistic vest has been used more and more widely. In response to this, we have paid more and more efforts on developing new products with various sizes and colors to meet the different needs of our customers. Copyright © 2018.Newtech Armor All rights reserved.